A foam roller is a tube shaped length of hard foam that allows you to use your own body weight to release tight and stiff muscles throughout the body. People who benefit from foam rolling include office workers, weekend warriors, recreational and professional athletes. Daily static postures, repetitive exercise and lifting weights create muscle imbalances and stiffness that can lead to pain or discomfort. Foam rolling is used as a quick method to improve mobility and reduce imbalances. Foam rolling is not recommended if pain is present unless prescribed by a qualified therapist. 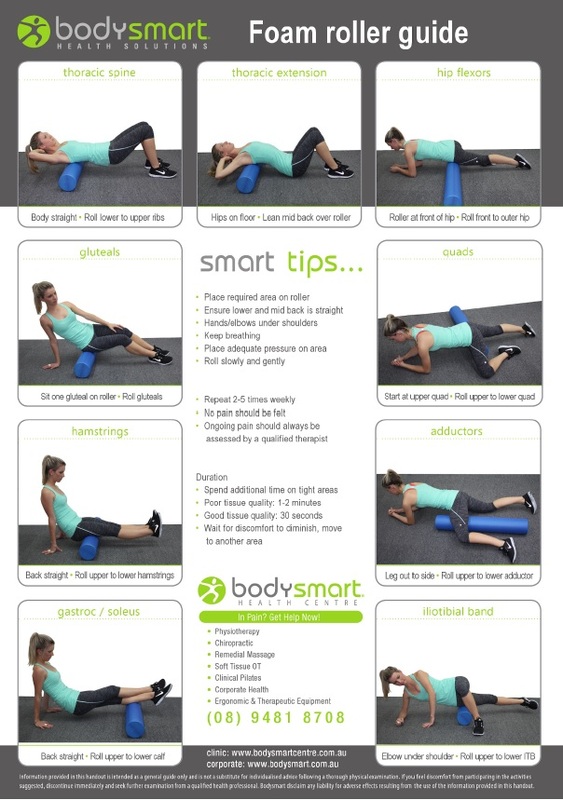 Bodysmart has 3 different lengths of foam rollers available, 30cm, 45cm and 90cm. Foam rollers are available for purchase at our clinic in Perth CBD and available from our website .